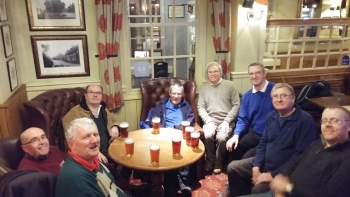 1000th peal (all on tower bells) - 8; with congratulations from the Monday night band. First submitted Tuesday, 19 January 2016 at 08:11:27 by Simon P Rogers. Sent for publication in The Ringing World on Tuesday, 19 January 2016 at 08:15:30, and printed in issue 5468, page 153.